Did you know that salsa is America’s #1 condiment? 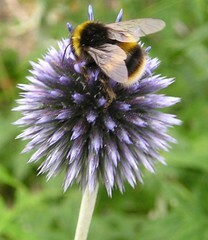 Maybe that has to do with having SO MANY different variations available. 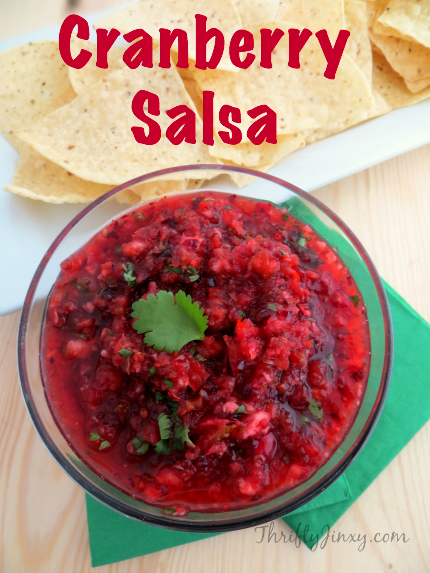 You can make an interesting spin on your next bowl of salsa by making this sweet and spicy Cranberry Sala Recipe. You can choose how spicy you want it to be by increasing or decreasing the amount of jalapeño you use. This Cranberry Salsa Recipe is great served with chips or add a bunch of extra flavor to your enchiladas or a chicken quesadilla. 1. Chop the apple, red onion, bell peppers and jalapeño into large pieces and place in food processor. 2. 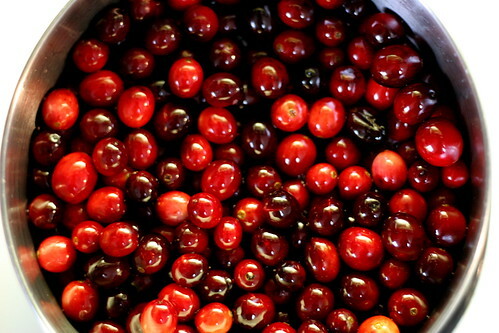 Add the bag of cranberries to the food processor. 3. 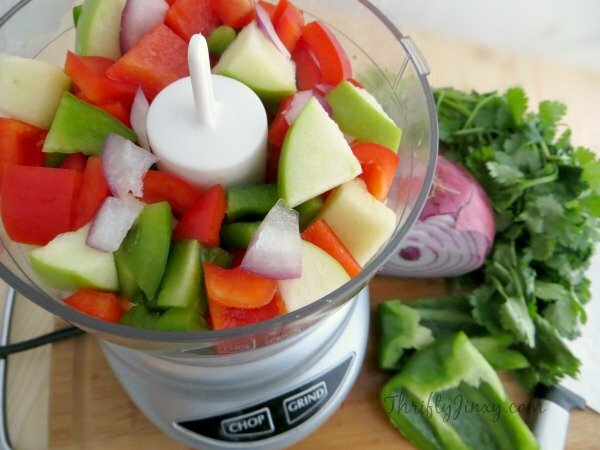 Use the food processor to chop and combine the ingredients. 4. Move the chopped ingredients to a bowl and add sugar, lemon juice, apple juice and cilantro. Stir together. 5. Best if chilled in refrigerator for 2 hours before serving to allow flavors to combine. Nothing has quite the same unique, delicious flavor as chipotle peppers in adobo sauce. They are a great way to add a bit of a kick to a recipe without adding so much heat that it overwhelms it. 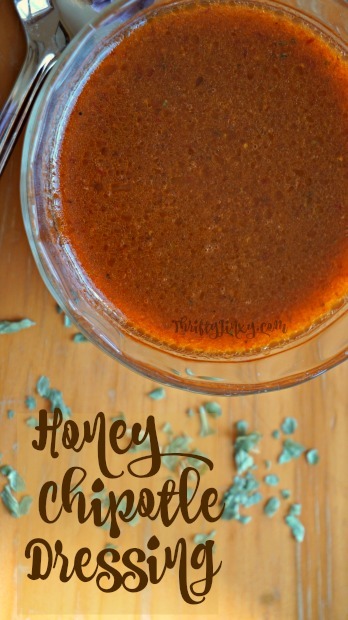 This honey chipotle dressing recipe makes a dressing that is perfect for salads, but is also great as a marinade or even to add some extra flavor to chicken tacos or burritos. 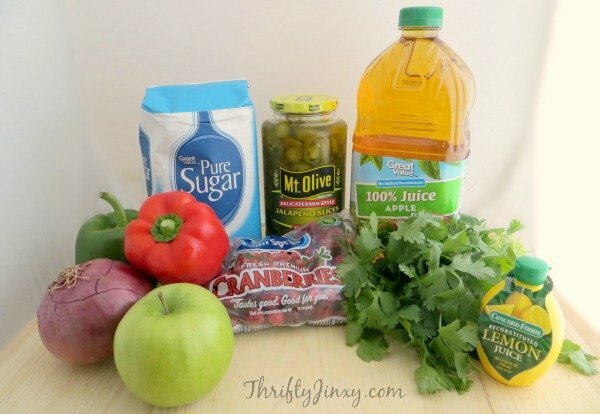 Mix all ingredients except for the oil in a blender until well blended. Slowly add in the canola oil until mixture is well mixed. Adding the oil slowly at the end helps it to emulsify. 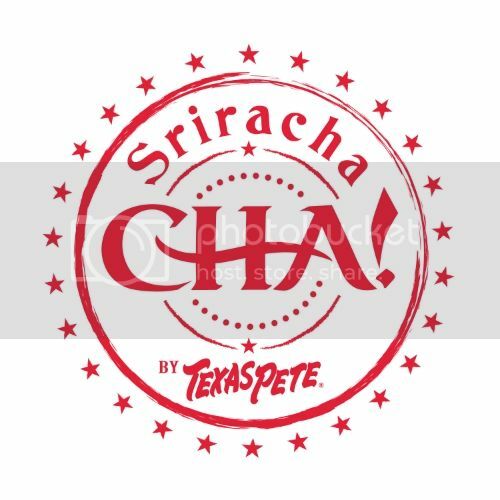 Kick Up Your Recipes with Texas Pete CHA! Do you like a little “kick” in your food? If you’re the type that things bland = bad, then you’ll be excited to hear about CHA! by Texas Pete. Texas Pete hot sauces have been a staple on southern tables for decades and have been gaining popularity nationwide and in many other countries. Just introduced earlier this year, the new CHA! by Texas Pete sriracha sauce has skyrocketed in popularity. Some love it for the unique flavor with a blend of spicy sweetness that makes an excellent topper for pasta, pizza, burgers or hot dogs. But, it’s definitely not just a condiment! It’s tangy, exotic heat makes a perfect ingredient for your favorite sauces, soups and marinades. But there’s no need to stop there! All kinds of appetizers, main dishes and sides can all upgrade their flavor quotient with the addition of CHA! by Texas Pete. 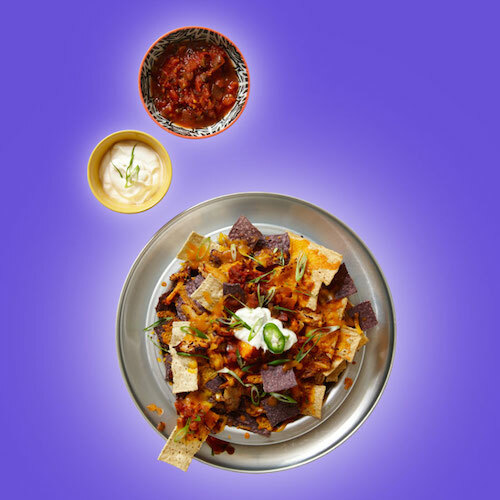 There are tons of Recipes available from Texas Pete to give you some ideas to use your CHA! One of my favorites is CHA!CHOS. It is a delicious combination of hand-pulled, deli-fresh rotisserie chicken glazed with CHA! by Texas Pete®, piled high on a platter of crispy tortilla strips with melted cheddar cheese, sour cream and Green Mountain Gringo® Hot Salsa. YUMMY! 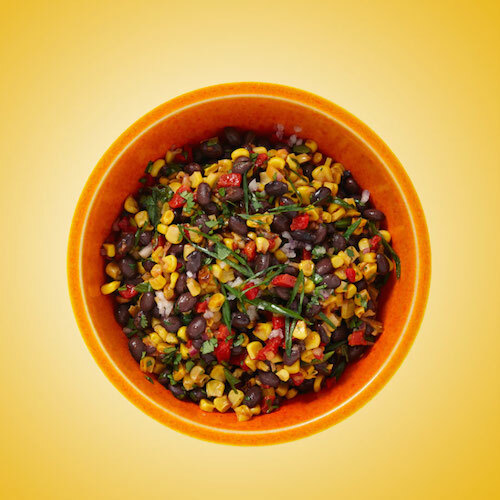 I’m also loving the Spicy Roasted Corn and Black Bean Salad Recipe. This explosive salad is made with a blend of roasted corn, tender black beans, red onion, roasted red bell pepper, fresh herbs, Mexican spices and a zippy red wine vinaigrette flavored with CHA! by Texas Pete®. You can find lots more CHA! recipes on CHAddiction.com. 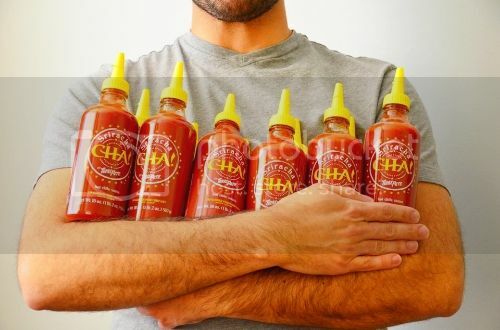 Where to Buy: CHA! by Texas Pete is sold in many supermarkets nationwide and can also be purchased online at TexasPete.com. 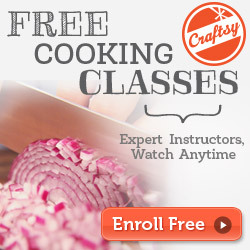 Which recipes from CHAddiction.com do you want to try first? Heat oil in a large sauce pain over medium-high heat. Cook onion until tender. Stir in cranberries, tomato sauce, sugar, vinegar, water and allspice. Turn heat to high and bring mixture to a boil. Reduce heat and simmer uncovered until cranberries are soft and mixture begins to thicken, stirring and mashing the berries – about 20 minutes. Refrigerate. Easy Chicken Gravy Recipe – Skip the Powder Packet!! This recipe makes gravy that is much better than what you get from the little paper packet at the grocery store…and you can say that it’s homemade! Melt butter in a medium sauce pan over medium-low heat and then stir in flour. Cook for one minute, stirring constantly. Slowly add in the milk and then the broth. Cook over until thickened. 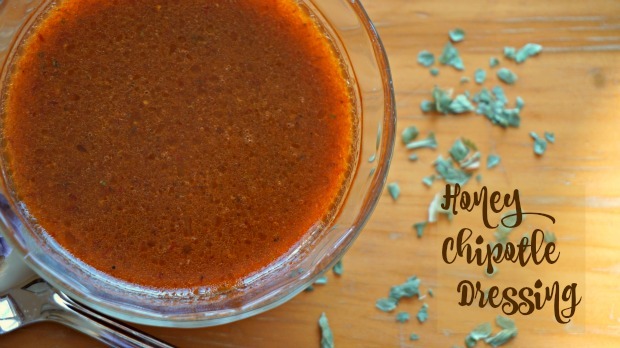 This is a simple recipe that makes a great sauce that is perfect for dipping your egg rolls, chicken fingers or other food. Whisk all together in a small sauce pan. 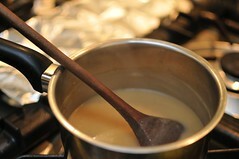 Heat until boiling point and stir constantly until thickened. It will thicken further once removed from heat. This salad dressing works wonderfully on a fruit salad or on any salad that you would like a touch of sweetness. Mix all dry ingredients in a blender. Add the honey, vinegar and lemon juice and pulse only until blended. With the blender at its lowest setting, slowly add in the oil. Blend until dressing is smooth.